No Objection Certificate (NOC) by a Landlord becomes necessary when a Tenant (usually for a company), who has taken a property on lease from the landlord, plans to use the premises or a part of it as a registered office. Prior setting up a company’s registered office in a rented premises, the company has to get a No Objection Certificate by the landlord. It basically states that the landlord issuing NOC has willingly rented the premises to the company and has no objections for the premises (or a part of it) to be be used as the company’s registered office. Knowing how to create a Commercial Lease Document and Termination of Rental Agreement might be helpful to you if renting a premises is on your list of things to do. 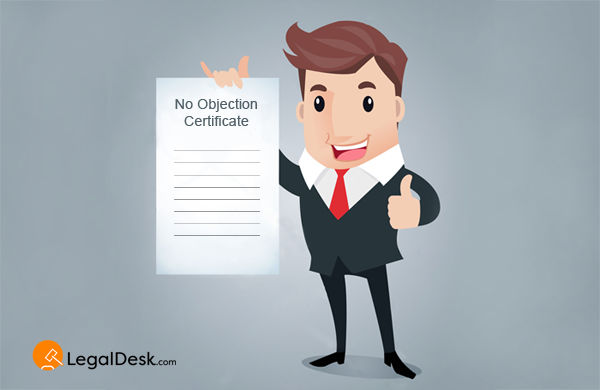 How To Make No Objection Certificate? You can create a NOC by Landlord with LegalDesk for free of cost. Just click the button below and enter the details of landlord and company in the form that appears after clicking the button. Download a copy and get it printed on a plain paper. Isn’t that easy?